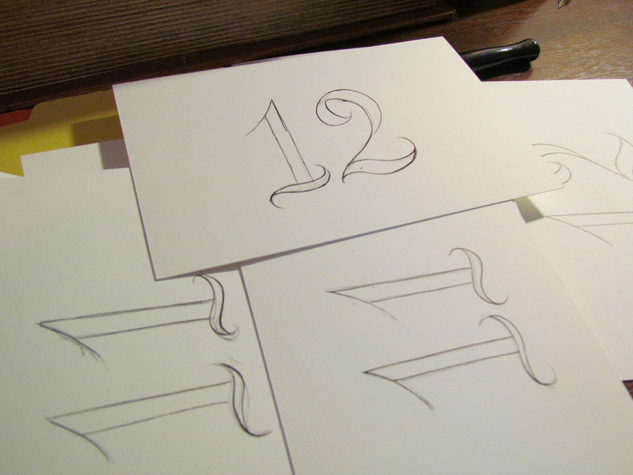 These table numbers were a special request by my client who wanted a black outline and a silver metallic filling. 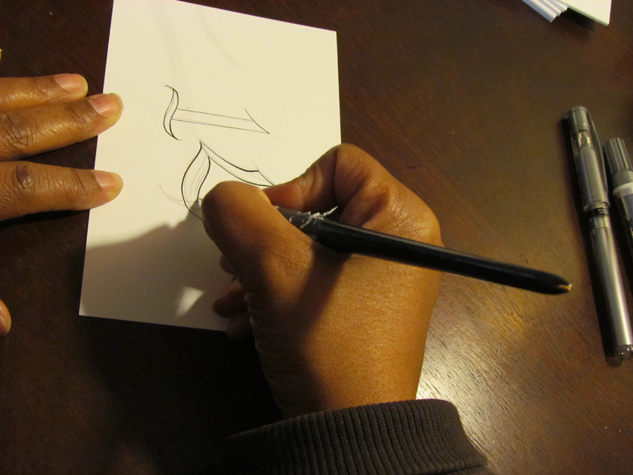 I first hand drew them with a technical pencil and then outlined them with a pointed nib. I will come back with a silver metallic marker to fill in the center. Any rough fillers will be cleaned up with a silver gel pen.